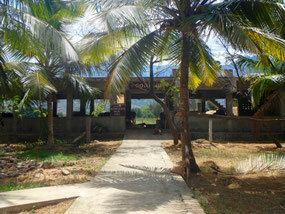 The Ashram-Goshala (cowshed) forms an important aspect of our service to animals, nature and mankind. 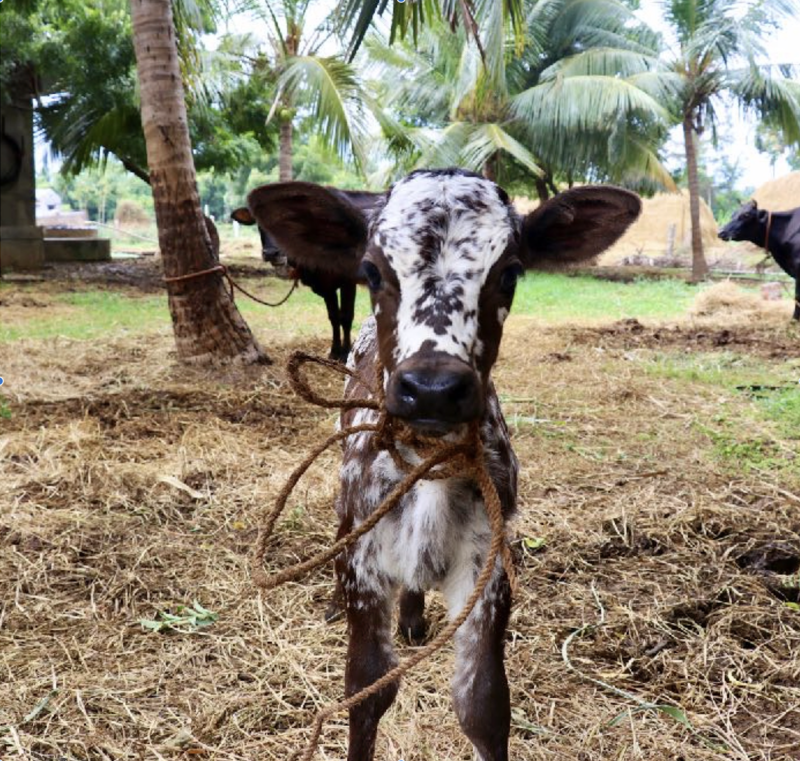 The cowshed is an asset to the ashram and its agricultural activities, together forming a mutually beneficial unit in the ashram and contributing to our efforts towards self-sustenance. 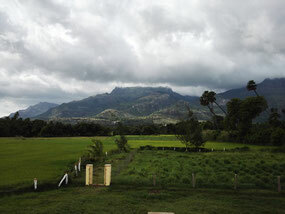 The ability to generate food and funds on its own is one of the ashram's prime goals. 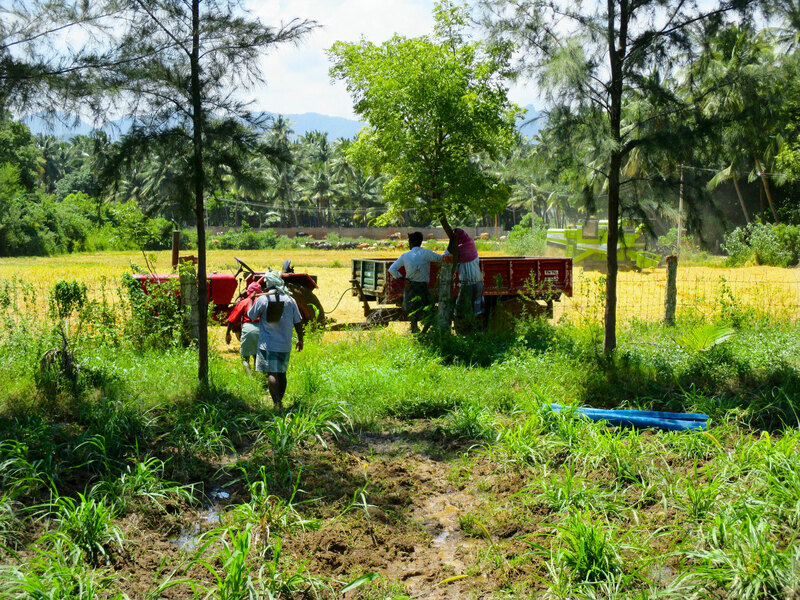 We are producing rice on our small (leased) rice fields, coconuts and a small quantity of vegetables. The dung of the cows is the sole feed for the bio-gas plant which delivers cooking gas for our kitchen. Our cows are treated with love and respect for what they give us without asking anything in return. If people could be just half as beneficial to the world as cows are, we would live in paradise! Panchagavya is made entirely from the cows' byproducts and is being re-doscovered not only as a wonderful skin remedy, but also as an internal medicine for a number of ailments. Panchagavya is also used widely in agriculture ayurveda medicine and cosmetics. In economics, we learn to honor producers and pay for the products they manufacture with care for the welfare of all - Why does this not apply to ALL producers, including the most selfless ones?? 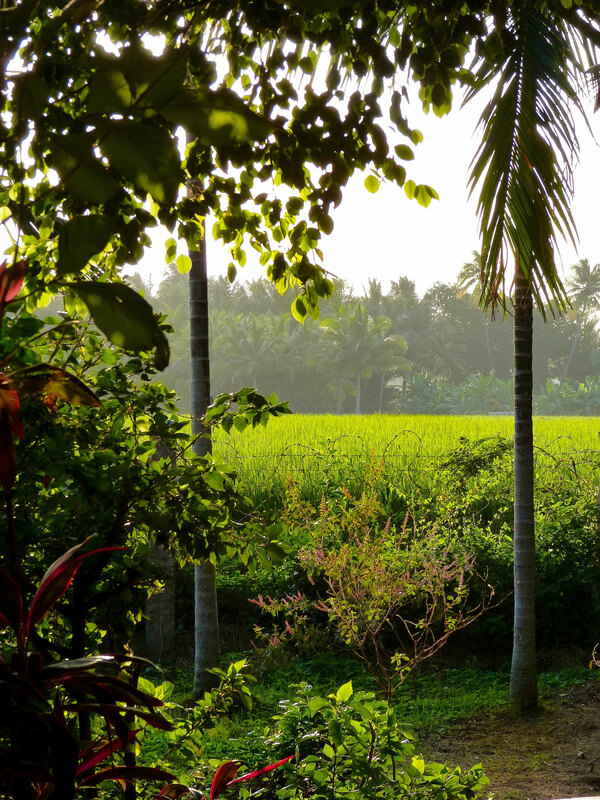 The Aum Pranava Ashram is surrounded by rice fields and coconut groves. 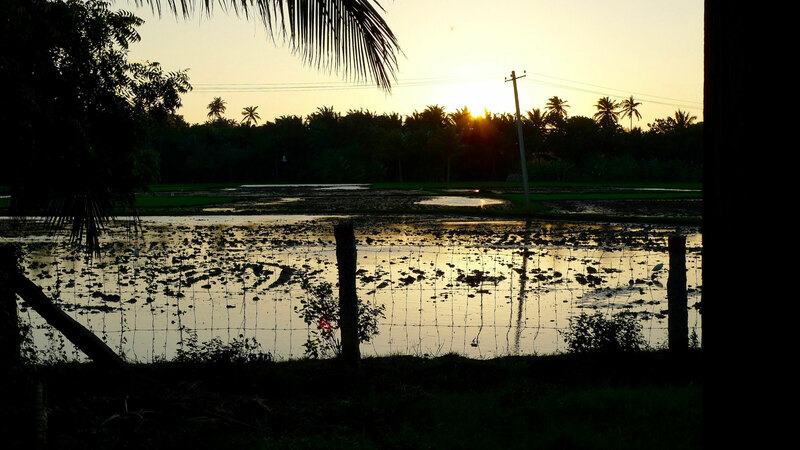 The cutting of trees, transforming rice fields into plotted lands for high-end sale prices to real estate business are well-known business practices which endanger not only the natural beauty of the landscape, but cause imbalance in ecological areas (like forests and agricultural fields) and can ultimately lead to climate changes. We are trying our best to protect the land from brokers of real estate business, but it is becoming increasingly difficult to do so. 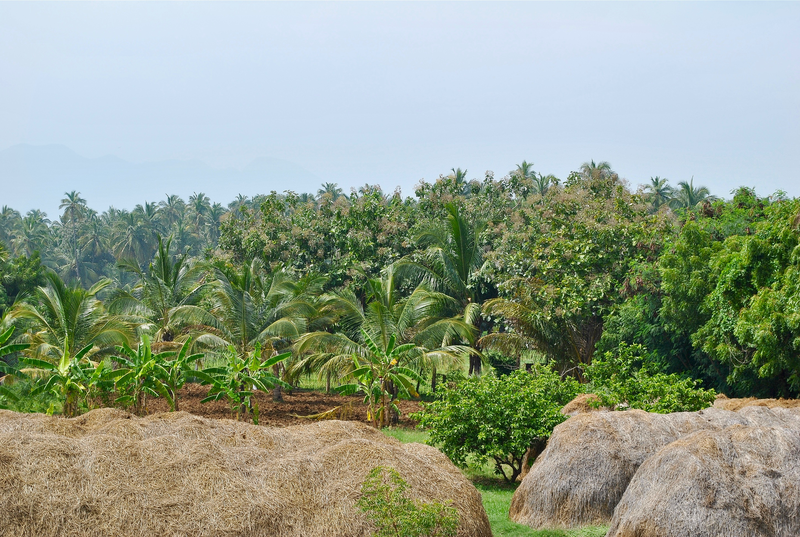 The ashram would love to extend its agricultural activities, but we do not have enough land and neighboring lands are too expensive for us to purchase. 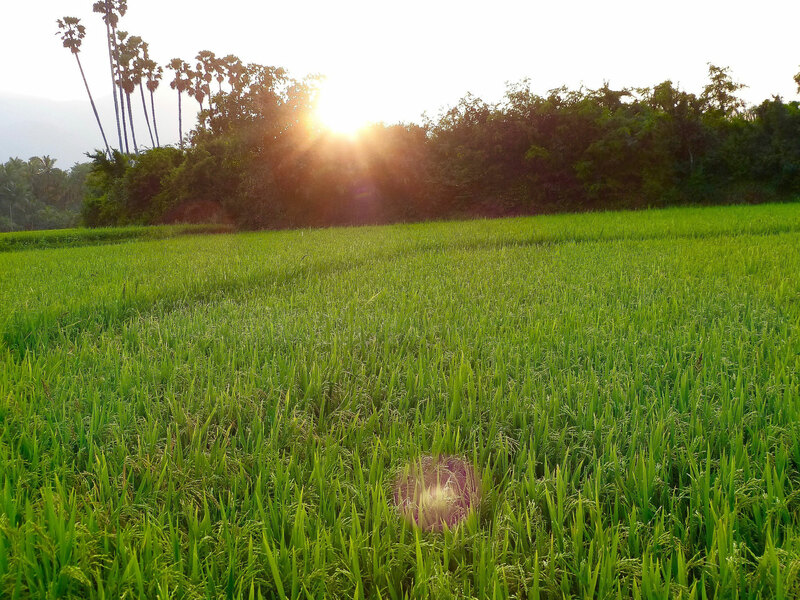 With the help of philanthropists who would like to conserve nature for its own sake (not for business), we could do so much good for all by extending agricultural activities, thus having more hay for the cows and producing good quality rice and other products on this land. 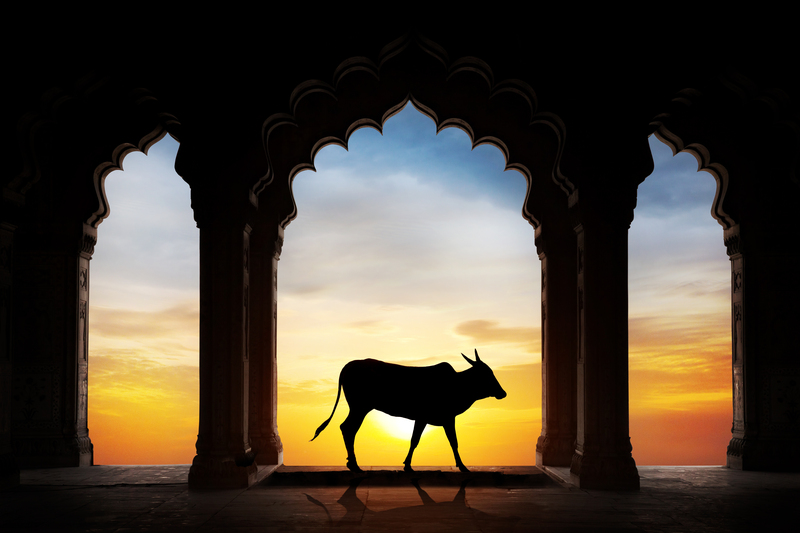 The legend has it that Kamadhenu descended from the celestial worlds for the benefit of all created beings. Hence, all the cows in existence in the world today should be descendants of the holy cow of Bharath and share her sacred status as well. In the book "The Quest of God" by Swami Ramdas@Pappaji from Kanhangad, we read: "Truly, the cow represents the Mother of the Universe and is a grand ideal of all that is gentle, pure, self-sacrificing and innocent. The Gomata yields milk, out of which curds, butter and ghee are made for the use of man. And again, she is the mother of the bullocks that plough the fields for growing grains which provide food for the use of man. Even her dung is of great use as manure and fuel. [...] Then again, after death, various useful articles are made out of her skin and bones. O Mother! You are indeed Kamadhenu!" 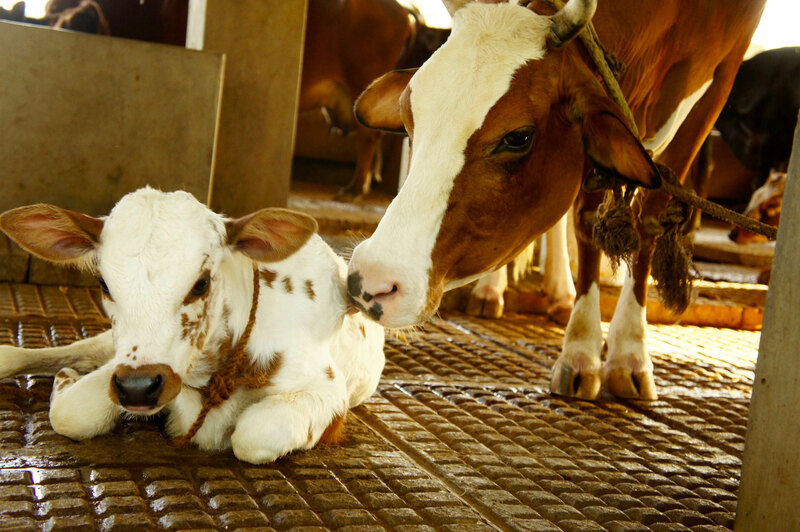 Accordingly, cows should be cared for with love and protected with esteem and gratitude. Our ashram is purely vegetarian, cows are neither sold nor bought. The milk is used for children, elders and all staff members of the ashram. Extra milk is sold to a milkman. The dung is used for our precious bio gas plants as well as a fertilizer for the fields and plants.